Cooperation with reliable partners is an important component of successful, dynamic development. Products of AZMOL-BP have already been evaluated in 10 countries, including Ukraine, Iraq, Uzbekistan, Turkey, Latvia, Estonia, Azerbaijan and others. On May 17 representatives of the Turkish company VOLPET PETROL again paid a working visit to AZMOL British Petrochemicals. The purpose of the visit is to expand and strengthen international relations and trade and economic cooperation between enterprises. VOLPET PETROL is engaged in the promotion of lubricants, as well as special additives for engines and additives for diesel fuel, increasing the level of environmental friendliness of cars. The partners visited the plant and appreciated the changes that took place at the enterprise, and also highly appreciated the professionalism of the employees. The guests visited the Alley of the Revival of Development and Friendship, where in the summer of 2017 a tree was planted as a sign of cooperation with VOLPET PETROL. Let's remind, workers of the enterprise try to observe former traditions, one of them is to revive a blooming garden in the territory of the enterprise. Partners who visit the company plant their own tree in the park. The guests were satisfied with what they saw, they are confident that AZMOL-BP products have prospects in export markets, and also noted that AZMOL-BP inheriting the experience of European enterprises has a great potential for production of PREMIUM-class products. 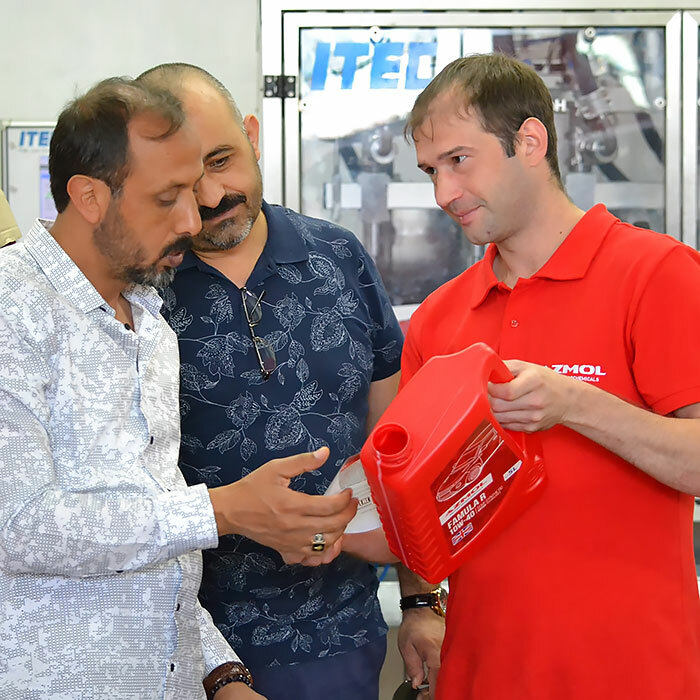 The visit of the Turkish partners is indicative, in spite of the fact that Turkey actively supports its manufacturer from AZMOL-BP there are all chances to take a worthy place in the market.